The Babbler sent teams of reporters around Chicagoland to cover the first day of school. The following are their reports. While Chicago’s South side and West side students walked the new “safe passage” routes, The National Security Agency watched over them. Sources with relatives connected to Chicago say the NSA reactivated their Aurora spy plane fleet to monitor the new school routes. 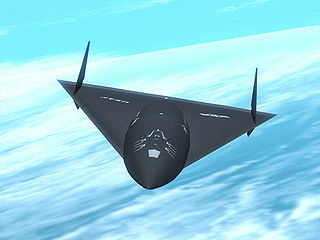 According to black ops military experts, the Aurora is a hypersonic spy plane capable of flying over Mach-5. Started in 1985, the United States built 10 such craft. The program was discontinued in 1996. Sources agree that two Aurora planes covering Chicago only focused their spy cameras and microphones on the designated school paths. The planes will fly over Chicago for one week, and will then be returned to NSA. The Center for Inquiry’s three feline fellows counseled University of Illinois at Chicago’s godless students on their first day of class. Freshman Doug, who asked that we not use his last name, spoke Andy about his concerns. Andy replied picking up a toy and dropping it in front of Doug. When Doug tossed the ball, Andy chased it and returned it to Doug. “It was great playing with Andy!” Said Doug. “I know I have at least one friend in Chicago. Freshman Jane told Cassie, a calico cat, that she wanted to be involved in the secular movement, but was afraid that her feminist beliefs would create problems. Cassie replied by walking on a keyboard several times. Freshman Joe told Anti-psychic Kitty that he was afraid of life in the big city. First, APK let Joe pet his belly. Some Bolingbrook High School students claim Jesus Christ was denied access to the campus. According to the witnesses, Christ was instead escorted off school grounds. Christ, the witnesses say, told the guards he loved them, but was still going to send them to Hell. School Safety Coordinator Leroy Brown denied that Christ tried to enter Bolingbrook High School.